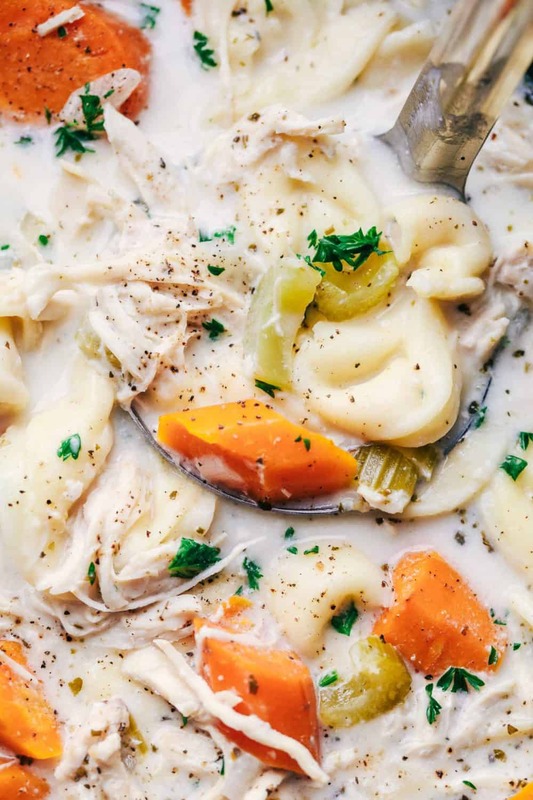 Slow Cooker Creamy Chicken Tortellini Soup is such a delicious and comforting soup. 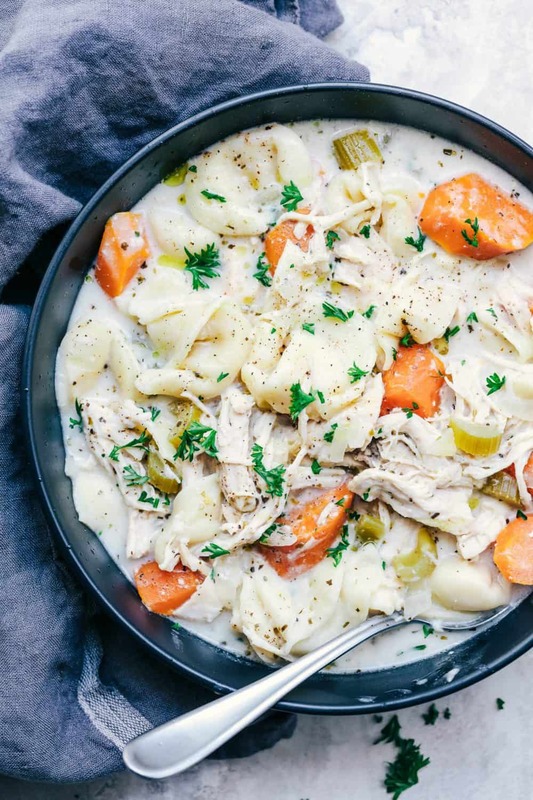 Loaded with carrots, celery, onion, chicken and tortellini, this creamy soup will become a favorite! One thing that I love about fall though is soup! Even though I could eat soup all year long, I get even more excited to make it when the cold weather starts to come. And all I felt like this week was a comforting bowl of soup. 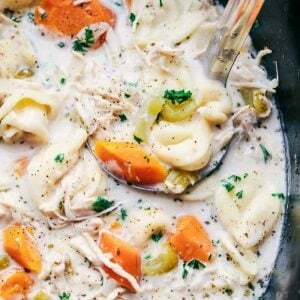 Since this Slow Cooker Chicken Tortellini Soup went crazy last year, I knew that a creamy version had to make its debut! This creamy soup is so comforting and such a classic. 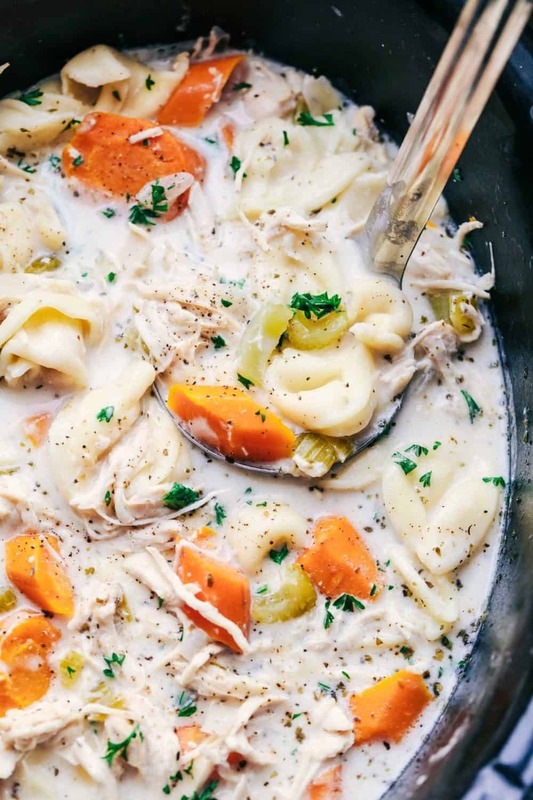 Carrots, celery, onions, chicken, and tortellini all come together to make this soup hearty and feeling. I love a good and creamy soup and this one hit the spot! I know that your family is going to love this delicious and creamy soup just as much as we did! In a 6 quart slow cooker, add chicken, carrots, celery, onion, garlic, chicken broth, bay leaves, and italian seasoning. Cook on low for 6 hours. In a small bowl whisk the milk, heavy cream, and flour. Add it to the slow cooker along with the tortellini. Cook for 15 minutes until tortellini is cooked through and soup has thickened. Discard bay leaves and serve immediately with chopped parsley, if desired. Hi, Alyssa! This looks yummy. Perfect for the colder weather, when it comes back to stay. Question about the tortellini: dry? refrigerated? frozen? Thanks! I have the same question as Cheryl. What kind of tortellini do I use in this? It looks delicious! I feel like the refrigerated would fall apart? To make as a make ahead freezer meal can I freeze”part one” separate from “part two” and doyou think that freezing the milk/cream/flour together is possible?